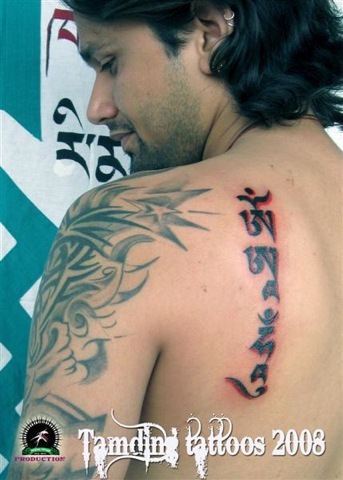 Tibetan Tattoos Om Mani Padme Hum: This Buddhist Mantra makes a great tattoo. 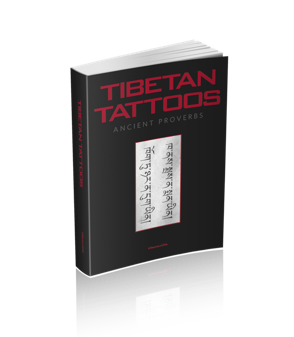 Tibetan Tattoos 'Om Mani Padme Hum' is the mantra of the deity of love and compassion, Chenrezig or Avalokateshvara in the Sanskrit language, translation meaning 'Hail to the Jewel in the Lotus'. 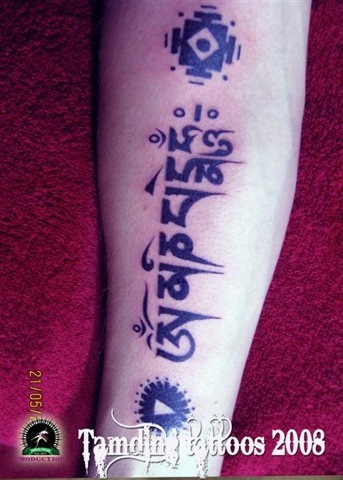 But did you also know that this Tibetan Buddhist mantra looks great as a tattoo! 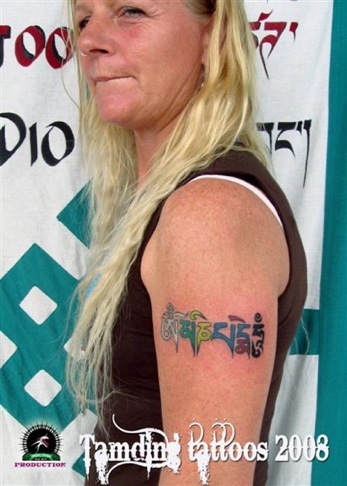 I really like the way Tamding , the Tibetan tattoo artist has used the colors in this tattoo. Check out his tattoo photo galleries here. Om Mani Padme Hum (Om Mani Padme Hung in Sanskirt) is the Mantra that the Tibetan people recite the most, young and old alike. It is not Om Mani Padme Om as some people may think. 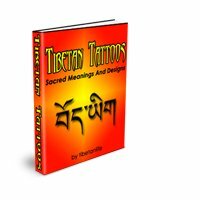 I think that the unique Tibetan U-chen script is one of the most beautiful tattoo lettering fonts or writing out there. I would like to get this inked on my forearm one day.